12. Arena Homme + - Robert Downey, Jr. Here are the 2012 covers of the month for January! As you can see a couple of magazine covers are missing namely Cosmopolitan, Instyle and Marie Claire. The three magazine usually use reprint covers of Hollywood celebrities which I am tired of seeing. 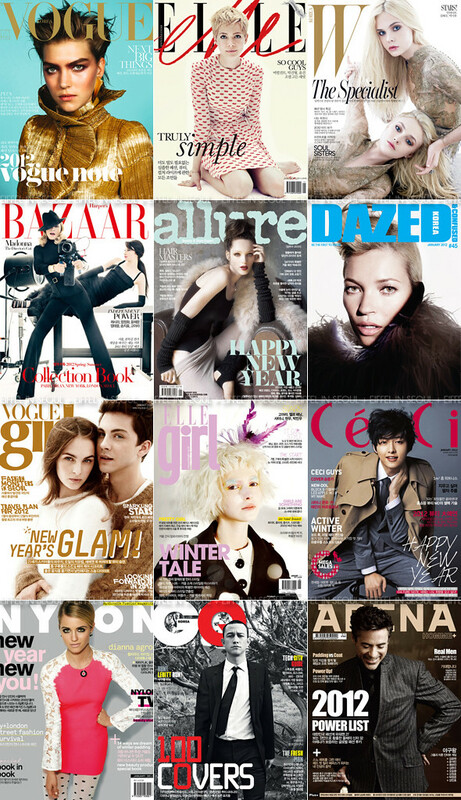 I was definitely disappointed not seeing any Koreans on any of the covers except CéCi.